Deck was jacked up and re-supported with new posts, masonry block wall and sliding barn door. We framed in the windows set for matching the siding of the house. Erosion control is an essential part of maintaining water runoff from flooding your land. Otty’s Landscape Construction LLC will install barriers, walls, drainage pipes and culverts to prevent erosion from disturbing you and your land. We know that you can’t always count on the weather to be on your side and that’s why we are here for you. Quit stressing about trying to maintain erosion control and just let us handle it for you. 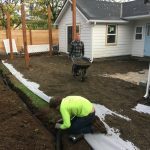 Otty’s Landscape Construction LLC has dependable drainage contractors in the Milwaukie, OR area to take care of all your erosion control needs. With our services you can stop worrying about the weather and the unpredictable nature of erosion because we will take care of you. 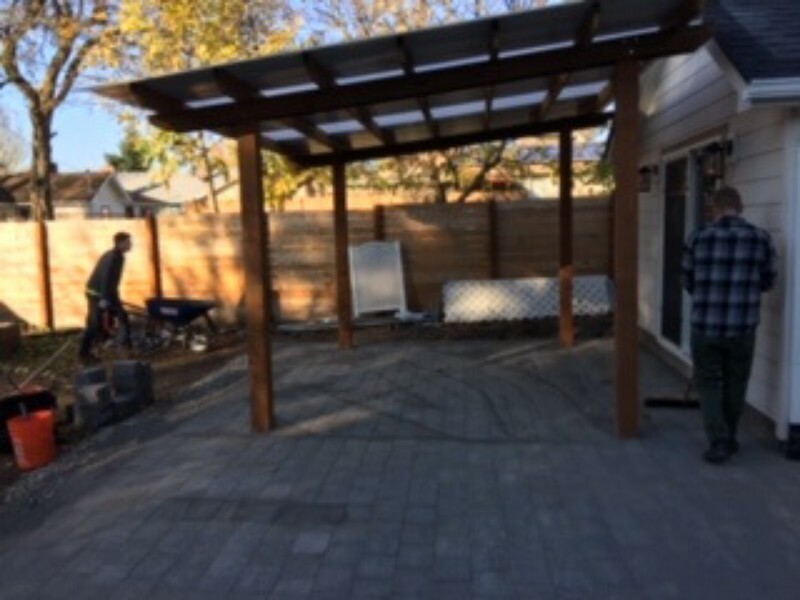 Installed a 16′ pressure treated gazebo and 26’x40′ paver patio. A French drain was added from the downspouts to a dry well barrel. 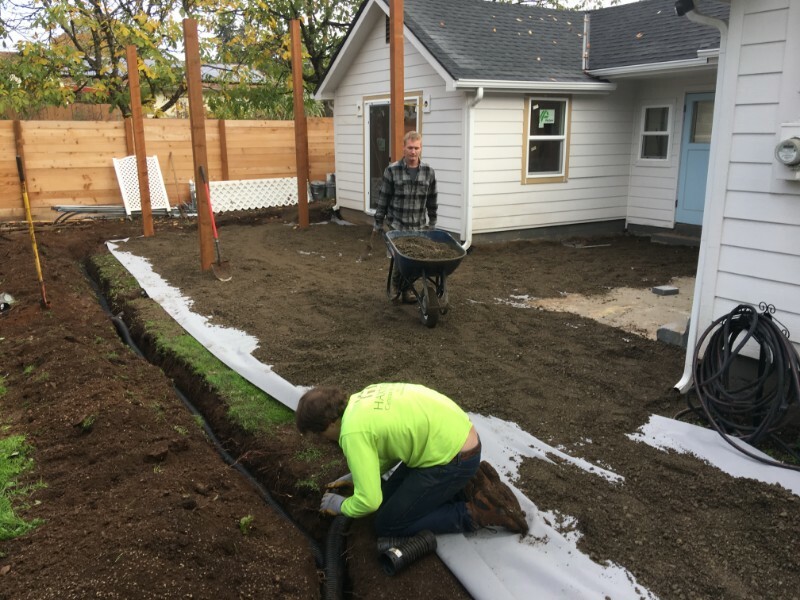 Along with providing erosion control, we can always implement preventive measures for potential mishaps in the Milwaukie, OR area. Our professional staff can install barriers, walls, drainage pipes and culverts to stop erosion from happening to you. We carry state of the art quality products to stop erosion from becoming a severe problem. When you rely on us for erosion control you can guarantee that you will be a satisfied customer. It doesn’t matter the erosion control service you need to be done we can take care of you. 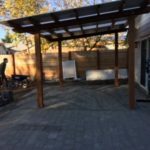 Whether you need a small barrier built or are planning to redesign your entire backyard Otty’s Landscape Construction LLC will be on your side. Let us lift the weight off your shoulder and handle erosion control so you won’t have to. You can’t always stop mother nature but it is reassuring to have protective elements when storms, bad weather or land erosion happens. Otty’s Landscape Construction LLC always makes customer service our number one priority with every job we perform. We know you have options when it comes to erosion control services and that’s why we want you to choose us. When you rely on our services you can be confident that erosion problems will be a thing of the past. Otty’s Landscape Construction LLC is looking out for you as the customer and is the place to call for all of your erosion control needs.